The bets are on! 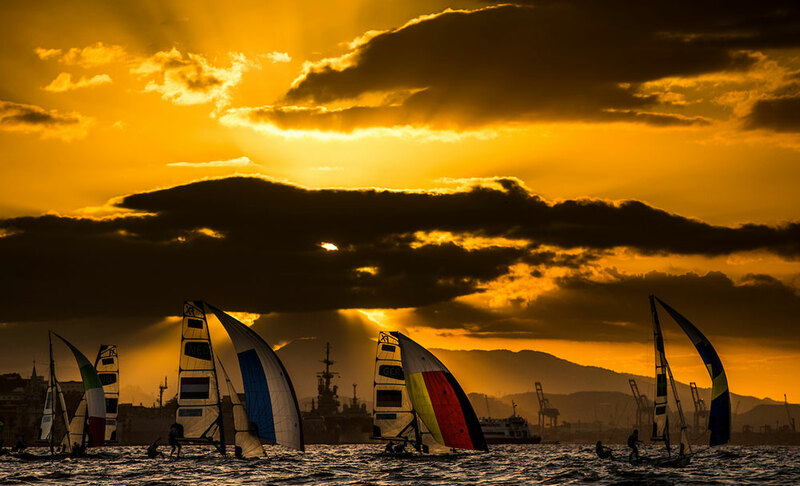 Our Olympic sailing medal predictions for the 2016 Rio Olympic Games. The 2016 Olympic Games in Rio are approaching fast. 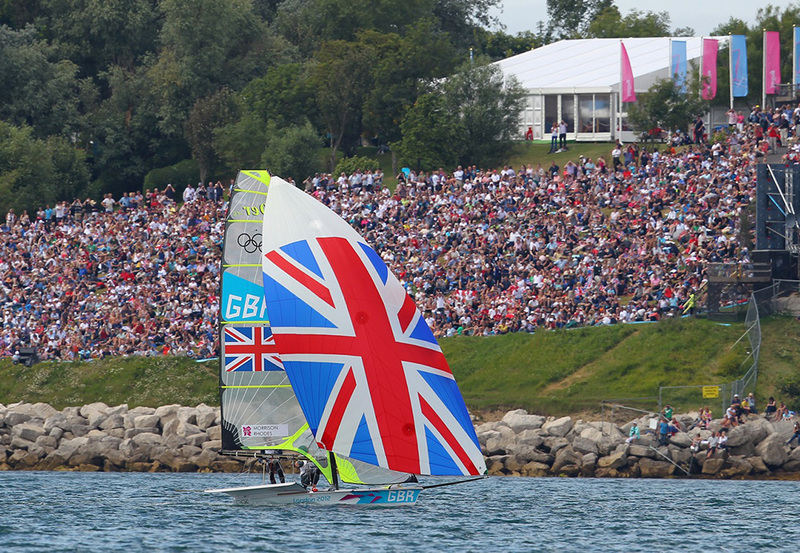 You can read all about Olympic Sailing here, and our special guide to the 2016 sailing venue, events and sailors here, but what about the question we are really most interested in? Just how many British sailors are going to bring us back a medal? It's not as easy as simply looking at the top-ranked teams. The Olympic Games is a very special event and there are countless stories of people crashing, or performing above expectations. The Finn class is the oldest still competing at the Olympic Games. Photo Tom Gruitt/Creating Waves. 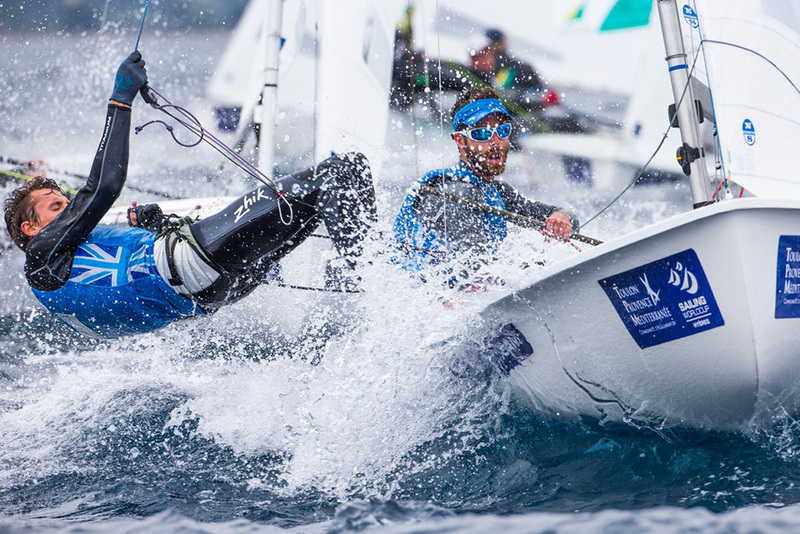 In sailing there is an added complication; the sailing regatta is quite different from most of the events the sailors will have been competing in. To start with there is only one representative per country. That can mean in some cases that sailors who might medal at a world championship, will not even be in attendance. 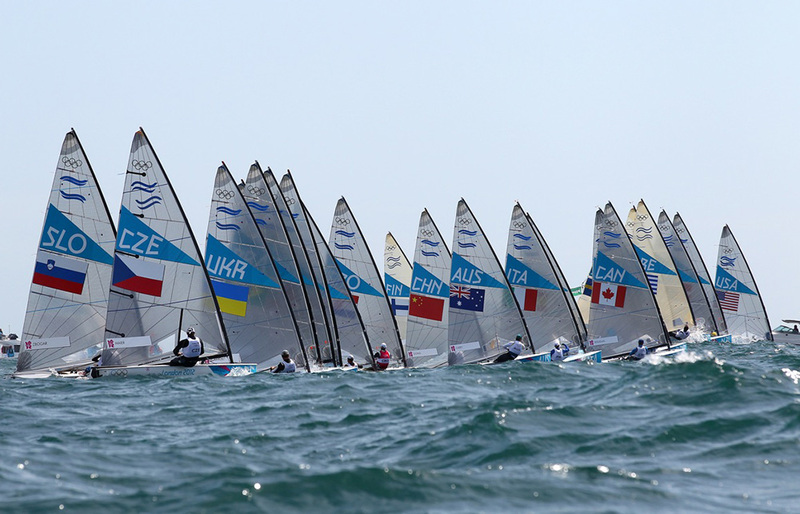 Also the fleet sizes are generally a lot smaller than those seen at world championships, especially in classes like the Laser. This changes things as there are fewer boats to put between yourself and a rival, often meaning that the difference in points is smaller. 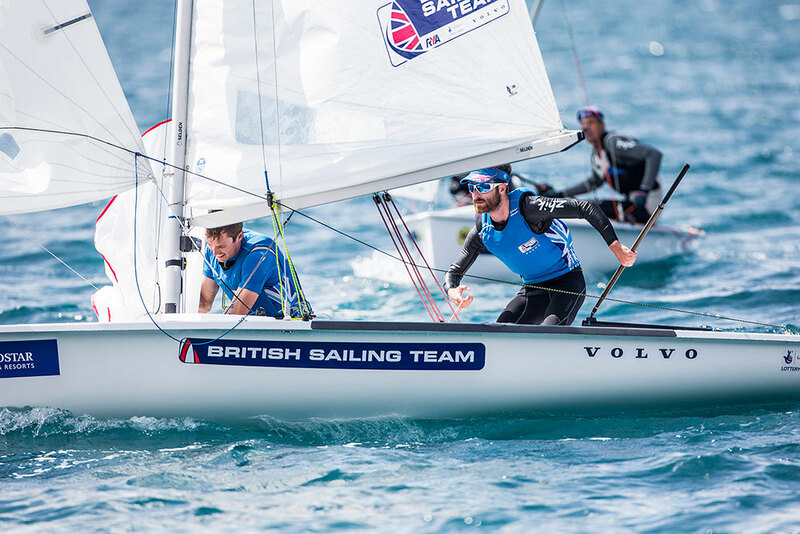 In this for guide we try to give you a bit of background on the British Olympic Sailing Team members and their medal chances. So here goes, class-by-class. Giles Scott obviously has the potential to get an Olympic medal, but the Olympic Games is a unique high-pressure regatta. 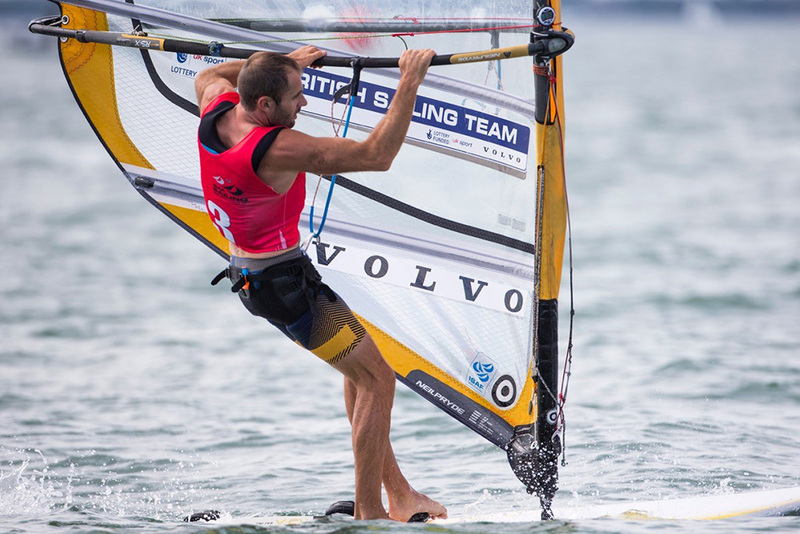 In the Olympic Finn class, it's hard to bet against the world's top ranked Finn sailor Giles Scott, who gave Ben Ainslie such a run for his money in the battle for selection in 2012. Giles Scott has such an impressive record over the period since, despite splitting his time between helping Ben Ainslie with his British America's Cup challenge and his own Olympic Finn campaign. 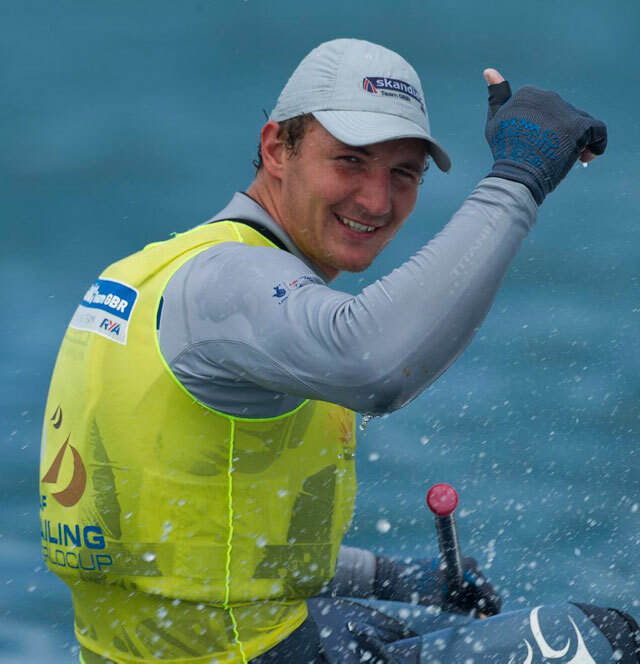 Largely unbeaten (a second at May's Princess Sofia event mars an otherwise perfect scoreline since April 2013, in fact since the Finn Europeans in June 2011 he has only been pushed into second place twice) he won the 2016 Finn worlds (to add to his 2014 and 2015 world titles). However, he's not without rivals and this is never a class where any colour medal is easily-won. It will undoubtedly be a battle, but my money (probably with everyone else's) is on Giles to continue the British tradition of winning gold in this class, proving a worthy successor to Iain Percy and Ben Ainslie before him. 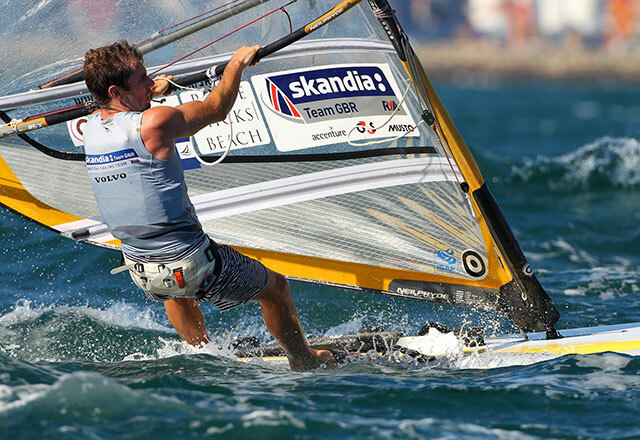 Nick Thompson has just won his second Laser world title. 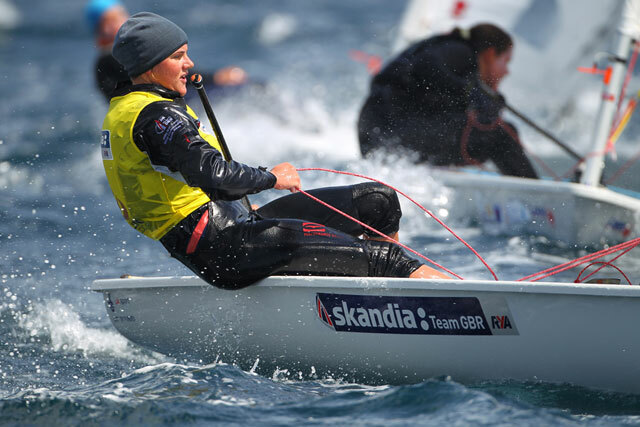 Alison Young in the Laser Radial - photo Richard Langdon/Skandia Team GBR. Alison Young has a solid first Olympic performance behind her, and if medals were won on dedication and determination she would surely take gold. 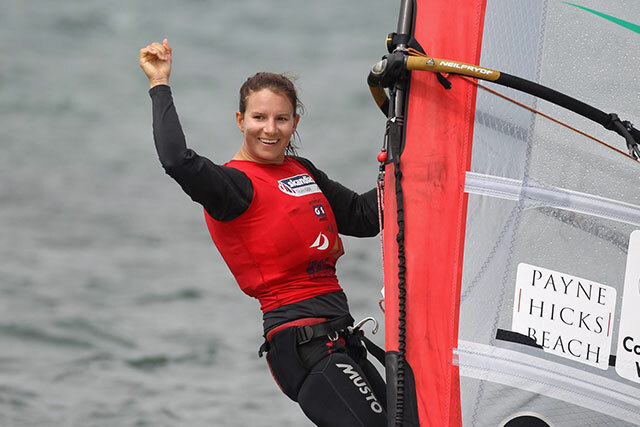 The current Laser Radial world champion has had some mixed results over the year, but I'm confident she will be on the podium. She has a lot to do to ensure she gets a medal, and her results have often been just outside the medals in many of the big regattas, but her worlds result shows she can do it and I think her steady, hard graft will reward her in Rio. Undoubtedly the team veteran with four Olympic Games behind him, Nick Dempsey started his Olympic career young and he's still going strong, with some promising results this year. He certainly has the experience and the grit to work for a result, and Rio will be a venue to test that to the limit. I'd love to see him show how age is no barrier, but he will have a lot on to add to his medal collection. Bronze medallist in Beijing, Bryony Shaw had to cope with bitter disappointment in 2012 when she only managed seventh. But she goes into this Olympic Games arguable stronger than ever. She should get a medal, the question is what colour? I would love for her to get gold, and she does have the potential, but I'm putting my money on silver, the colour she won at both the 2015 and 2016 worlds. It was fantastic to see Hannah Mills and Saskia Clark taking gold at the Olympic Classes Regatta in Hyeres earlier this year. I don't like talking too much about medal favourites as the Olympic sailing is notorious for throwing up plenty of surprises, but it has to be a good sign that the 2012 silver medallists won overall in what was undoubtedly a tricky regatta. They have to be one of our stronger medal hopes. What I love about this team is how well they compliment one another. When they got together, relatively shortly before the 2012 Olympic Games, they immediately seemed to bond. A great example of a brilliantly matched partnership. At the time, Hannah Mills was the Olympic rookie, having achieved a lot in her young sailing career. Saskia Clark bought the experienced head to the party, and from the moment they paired up there seemed to be little stopping them. See the girls discussing their preparations in the video below. Now, with an Olympic cycle and a silver medal behind them, they are older, wiser and hungrier. Add in the random fact that Hannah Mills is a Leap Day baby, and celebrated her seventh birthday back in February, and you have to say 2016 should be her year! As a fellow leapling I have always followed her career with extra interest, so I'd be delight to see them bring back the medal they deserve. I would LOVE to see this team win a medal in Rio, perhaps more than any other. Luke Patience has had to live up to his name over the course of this Olympic cycle, facing selection not once but twice when his crew was sadly diagnosed with cancer and was forced to put his Olympic dreams on hold while fighting a much more important battle (read Luke Patience: the tough road to Rio). Having to adjust to a new crew with less than a year to go is no easy task, but if anyone can do it and come through the experience more determined and medal-hungry than ever, it's Luke. Since he teamed up with Chris Grube, their results haven't been bad and have showed they are certainly capable of a medal. Add in the incentive to do their unfortunate friend proud, and this team are going into the Games on an upward curve with every incentive and every chance to do well. I am going to punt for them to scrape a medal, although they will have a bit of work on to do so. The 49er selection trials were probably the most closely fought of all the Olympic classes, just as they were four years ago. 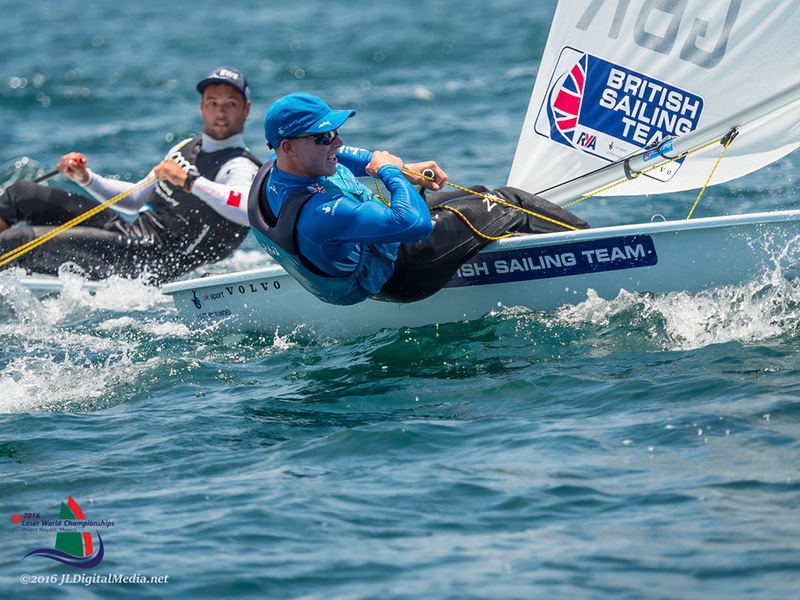 Dylan Fletcher and Alan Sign were finally announced as the team representatives for the 2016 Rio Olympics, undoubtedly helped by the bronze medal they won at the class worlds at the beginning of the year. Watch a video from the event below. After so narrowly missing out on selection last time around, this team has spent a good eight years battling hard in a class where the UK has always been strong, but didn't manage to medal last time around. There are some consistently strong performers on the international stage that will undoubtedly be favoured for the top medal positions, but the UK team has every potential to sneak bronze. I sincerely hope they do, but I'm not quite confident enough to put my money on them. 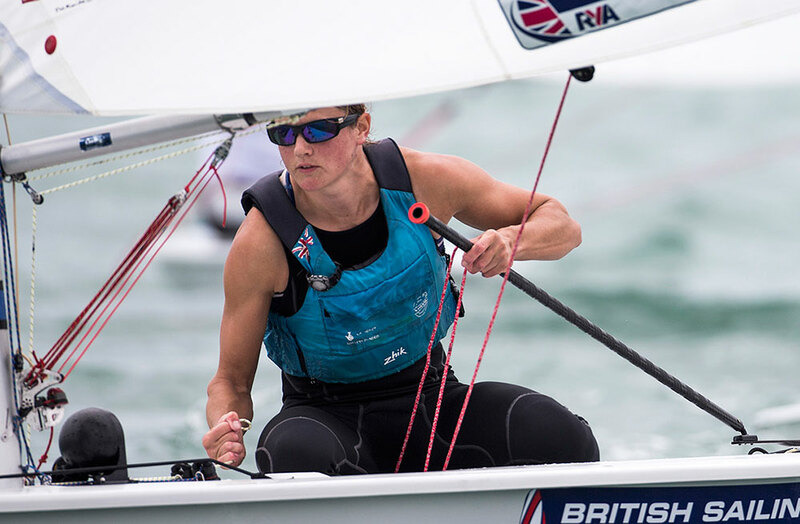 Charlotte Dobson campaigned in the Laser class and was one of three sailors who battled it out right until the last minute for selection for 2012, losing out to Alison Young. For 2016 she switched to the new women's skiff class. Being a new class, this feels one of the more difficult ones to predict as learning curves all round have been very steep. 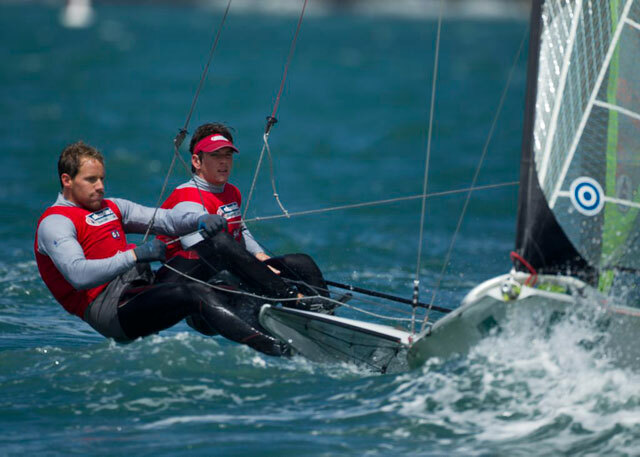 This pair were 10th at the class worlds this year, but a win at the recent Weymouth Sail for Gold event will give them a great boost. The multihull is not only a new class, but the idea of a mixed gender class is also new, meaning again this class is very difficult to predict with any certainty. 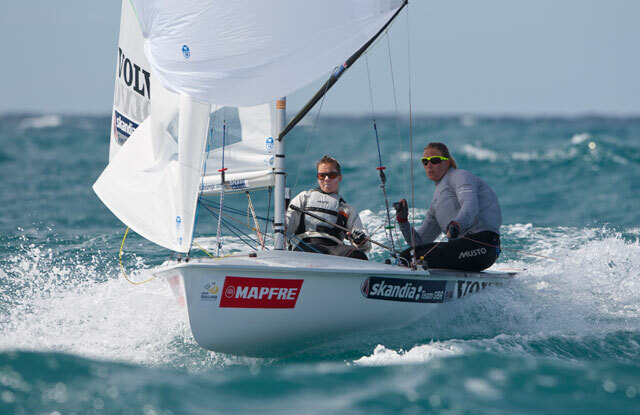 The British pair were sixth at the 2016 worlds, winning the 2015 Europeans and the recent Weymouth Sail for Gold event and posting a fourth in Hyeres earlier this year, so they certainly have potential. There you have it, our Olympic sailing medal predictions in full. We will have to wait to find out how right (or wrong) we are, but the British Sailing Team certainly seems very strong this year, and we could, I believe, be looking at anything from three to eight medals. The venue is a tricky one, but many of our sailors are used to variable conditions, so our fingers are firmly crossed that we better our medal haul from 2012 and show our American cousins, and everyone else across the world, that when it comes to Olympic Sailing at least, Britain still "rules the waves"! Want to know more? Check out Andy Rice's interview with British Olympic Sailing team boss Stephen Park (aka Sparky).